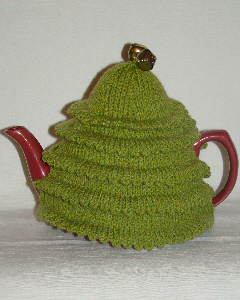 The Christmas tree is made from overlapping branches which keep the teapot insulated. This evergreen christmas tree is made from green yarn. 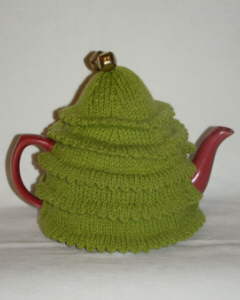 The top portion of the Christmas tree is shapped to give your teapot a trianglur shape in appearance. 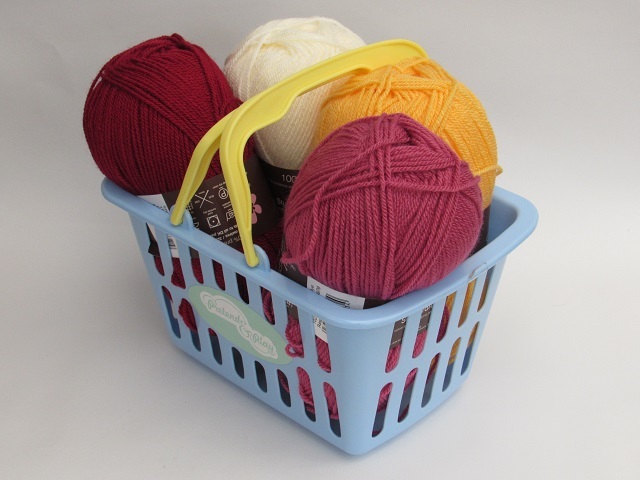 The Christmas tree bears two chunky sleigh bells on the top that ring charmingly giving this tea cosy a real Christmassy feel.